Shop the latest collection of feminist-inspired products, or pick up a copy of Unearth Women magazine in our online store. 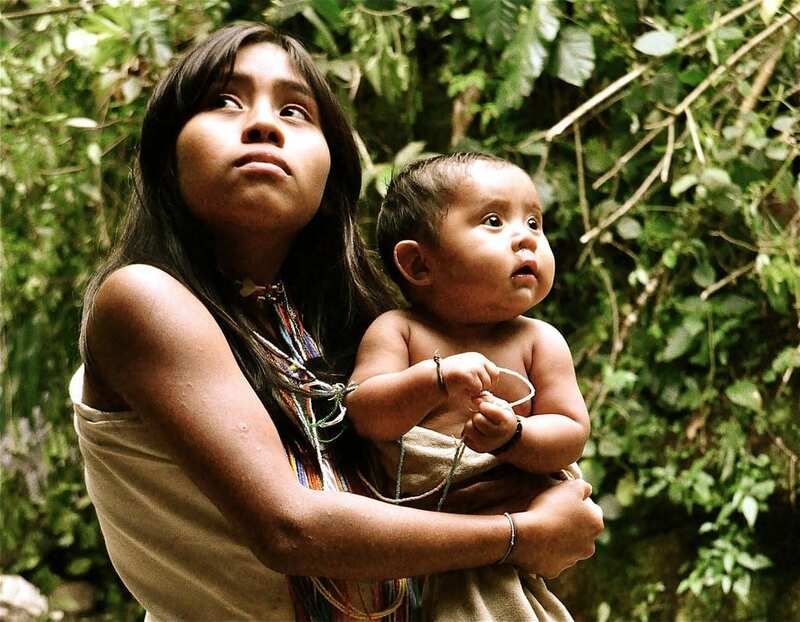 Suffice it to say, the modern woman is nowhere to be found in these Colombian jungles where women of “grandmother status” are relegated to household chores and child-rearing. The average lifespan for a man is remarkably high, around 80 years, while a Koji woman’s life expectancy is capped at 40 years old; almost half the life expectancy of their male counterparts. “The homebound female incurs lung infection from smoke used to cook, for heat, and to keep mosquitoes away,” Camacho explained. “This happens while men are out revering Pachamama with coca leaves, calcio, and moonshine liquor.” These women can’t set foot in Pachamama’s worship temple, they cannot take civilization—the poporo—in their hands. The Kogi women cannot join the men as they pray and dance together; they simply are meant to be at the receiving end of sacred wisdom. The Kogi women are gatekeepers on the fringes of the Promised Land, here in Colombia. 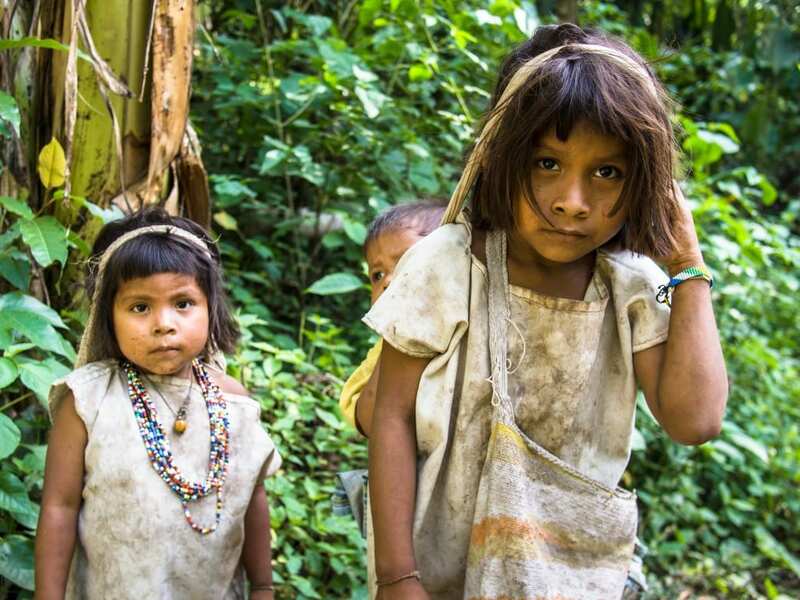 The Kogi people are a tribe flourishing in Northern Colombia for over thousands of years, resisting Spanish conquest, maintaining their native culture and living as if untouched by time deep in the jungles of the Sierra Nevada de Santa Marta. They educate without the written word and they function without the wheel. Kogis reside in circular huts—each perfect sphere paying homage to Saranqua—the Sun God—and made of stone, mud, and hatched with palm leaves. These same huts have existed over countless generations, re-hatched every two years. The central hut, “the house of the world,” is accessible only to men; it is there that the sacred is explored, politics are discussed, and village decisions are made. Kogis claim memory of the beginning of time and detail the rampage of Spanish conquest in their region in the 1400’s. 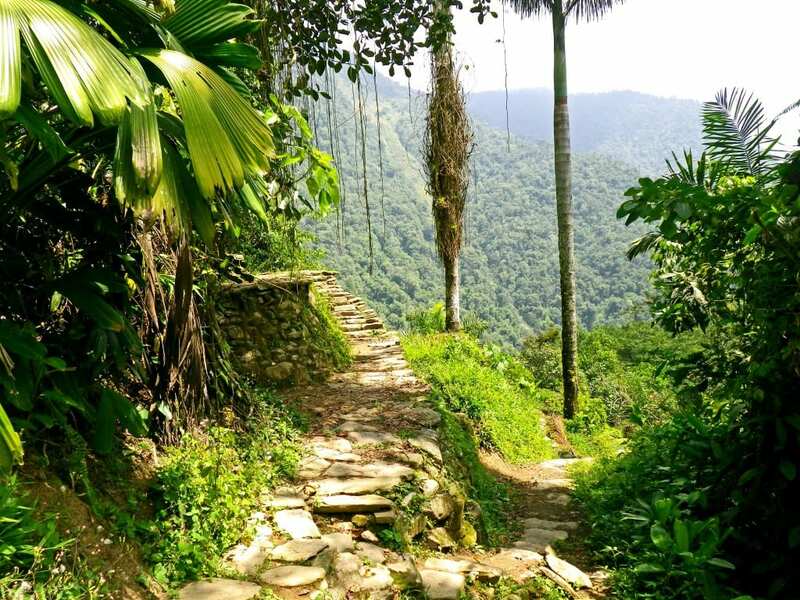 We—a group of 20-something hikers—were en route to the Lost City, La Cuidad Perdida, pre-Incan ruins older than Machu Picchu that remained undiscovered until 1974 by land pirates in search of gold. The Kogi Indians use these sacred grounds of their Tairona Indian ancestors for an annual convention of worship and dance, gathering Kogis from near and far. He continued after a few minutes of my silent contemplation. In modern culture, we have short-term fulfillment. Hardly any tradition left. We’re lost and hiking to a Lost City, thousands of miles from our own homes and communities in one of the most dangerous countries in the world. I saw the Kogi women filling their roles—the roles their ancestors had before them—from my shallow, entitled perspective, and yet, I was still overwhelmed by the gross disparity of injustice in this remote community. Half the lifespan of men? Exclusion from spirituality? From politics? From community decisions? “Exactly! The woman’s path is paved. She knows her purpose,” he retorted. “Who are we to judge the quality over quantity? And what is remarkably different among the Kogis from our cultures? They, too, have the politics, corruption, and betrayal. People are people.” I didn’t respond. A few miles into the hike I saw two young Kogi girls huddled in the shade of a palm. Their large black eyes stared at us strangers, studying our massive packs and neon dry-fit shirts. Their dark tousled hair, stained white dresses, colorful woven satchels, and rich dark skin emanated natural beauty beside their straw huts and the Sierra Nevada Mountain backdrop. One of the girls approached me as we slowed and she pointed from her face to mine, our gazes connecting in mutual curiosity. I broke then, imagining her time-marked future of obedience and labor—a grim fate for a young girl with her whole life ahead of her. Are guiding values, purpose, and profound spiritual satisfaction worth the intellectual limitations, the submission, the sacrifice, and the boundaries? I would fly home to my developed world—to a place where opportunities for women are plentiful, where women can seek education and financial independence— and back there in the Colombian jungle, the Kogi women would reverently submit to their fates. Both the Kogi women and I would ultimately seek moments of joy, worth, success, satisfaction and a deeper understanding of the world around us. But I would—God willing—live beyond 40. I would live unconcerned about losing my position in family and society with age. I would pursue my passions while that little Kogi girl who pointed to her face and then mine, would sustain her family, reproduce, serve, and then die young. The Kogi girl’s days would be a reverent adventure with the physical and spiritual depth of the vibrant tiers of flora, cascading falls, and infinite peak vistas. I would merely continue my sporadic escapes from my cubicle on weekends and holidays. I was left no clearer than when I had arrived: is it better to have tradition or progress? Becky Kivlovitz is an educator and freelance writer based in Seattle. Her work has been featured in Backpacker Mag, Women’s Adventure Magazine, Texas Music magazine, and other publications. Becky has a B.A. in English from The University of Texas at Austin. She has worked in the editorial departments of magazines and publishing companies in Austin, Texas; Boulder, Colorado; and Baltimore, Maryland. You can find her either on the trail, advocating for education reform, or planning her next great adventure with a charming husband and wild toddler in tow. this is the epitome of white feminist savior mentality. it is disgusting how little Becky does to actually get the details about the tribes traditions in order to make her wild accusations. the words of her tour guide and ‘other hiker’ completely contradict published accounts and studies, done by people who have actually spoken to the tribe. instead of treating these people like animals in a zoo, please do some basic research first. wow. Get Unearth Women Magazine Delivered to Your Door! Unearth Women is the first women’s travel magazine on the international market. Each issue combines women’s travel content, profiles of inspiring women, and a look at women’s issues around the world that are often left underreported. Unearth Women is created by women, for women.